How New is the New WeTransfer? 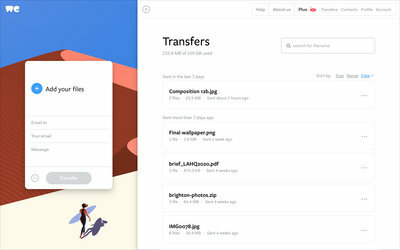 WeTransfer, the world’s most simple file transfer service, is unveiling its new and improved platform. Every component of the platform is now faster, more secure and more reliable. 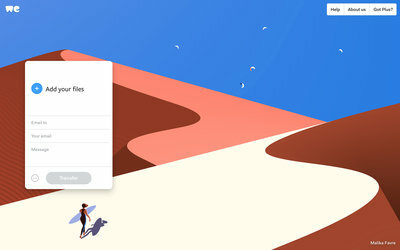 On top of that, with this redesign, WeTransfer has been made much more scalable: the company is ready for the next phase of growth. 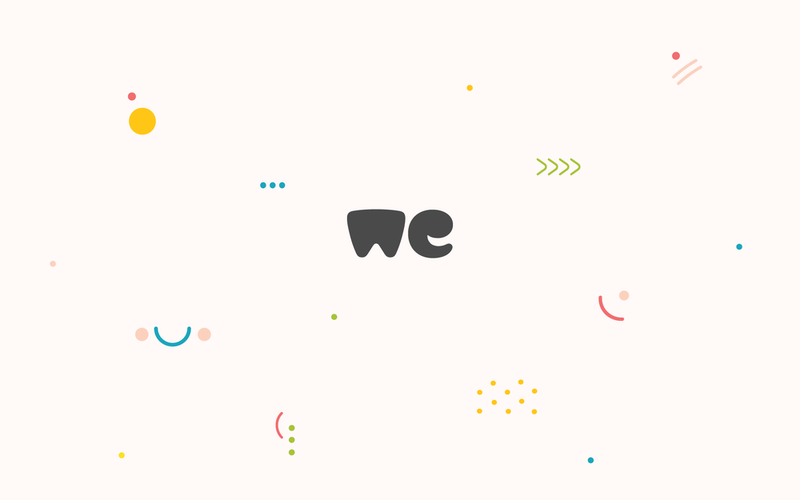 The new WeTransfer has been rolled out in 195 countries. Los Angeles, November 23, 2016 - Today, WeTransfer, the world’s most simple file transfer service, is unveiling its new and improved platform. 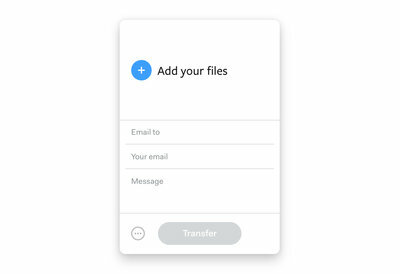 Nalden, co-founder of WeTransfer, says: “One billion files are currently sent through our service every month, so it’s a great moment to roll out this update that will make the service even easier to use. Every component of the platform is now faster, more secure and more reliable. On top of that, I’m proud that with this re-design, we have made WeTransfer much more scalable. The company is ready for the next phase of growth.” The new WeTransfer has been rolled out in 195 countries. The new website is built around a better overall user experience. 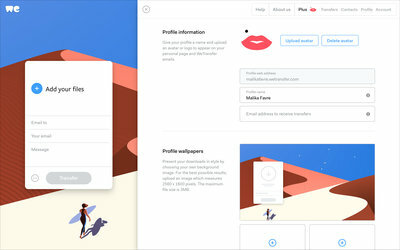 The first thing users will notice is a cleaner interface, with a navigation menu to access the help, information and account-related pages from a new sliding panel. 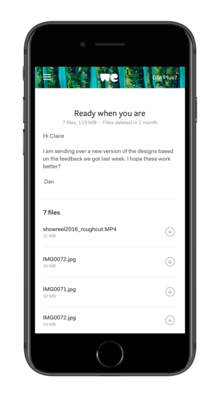 A bigger message field that scales as you type allows users to tell their story along with their files. Another big improvement is that recipients can now download separate files. From a brand perspective, the updated identity includes a new logo, color palette and set of playful visual elements for a fresh new look. As well as the visible design changes, the back-end of the platform has also been rebuilt from scratch to make the service work faster than ever. 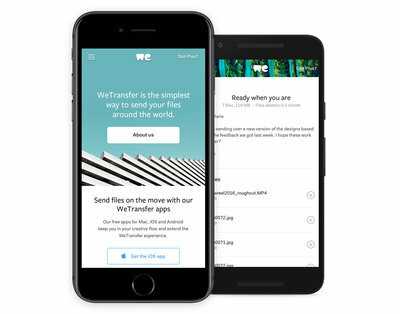 The infrastructure powering WeTransfer has been overhauled to be more stable and scalable. 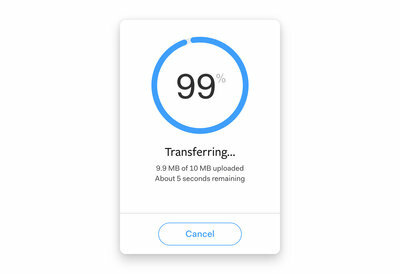 This means that processing time for uploads has been reduced by 90% for large transfers, so downloads are now faster and more reliable. The interface is more responsive to take the user’s whole workflow to the next level. Receiving transfers on mobile devices has also been improved.